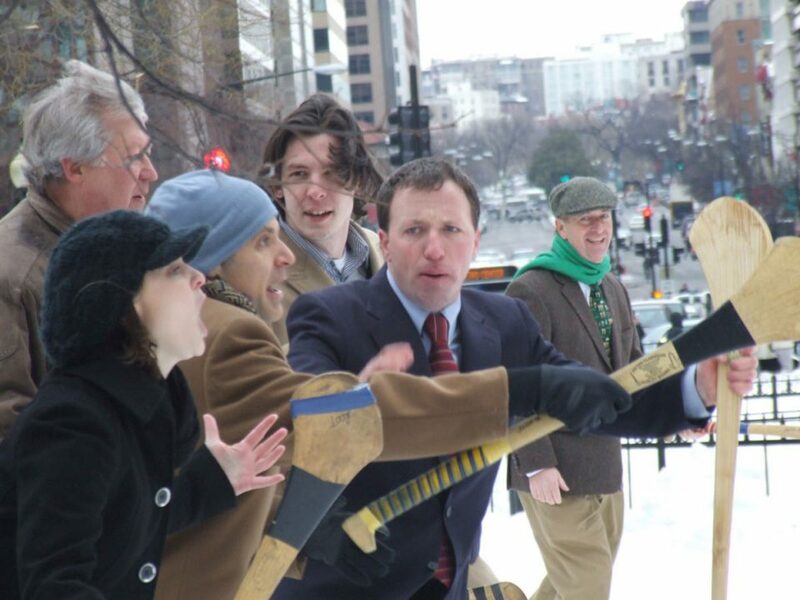 The Performance Corporation and Solas Nua – America’s only contemporary Irish Arts Organisation – thawed out snow-bound Washington DC with a romantic Valentine’s Day to remember. 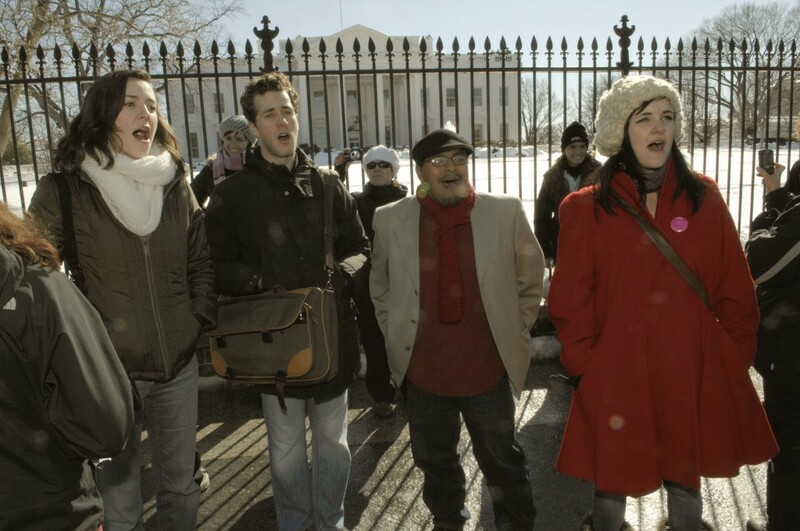 Against the backdrop of the White House, over 100 participants got up close and personal and smooched to the strains of an acapella group singing Kissing You. 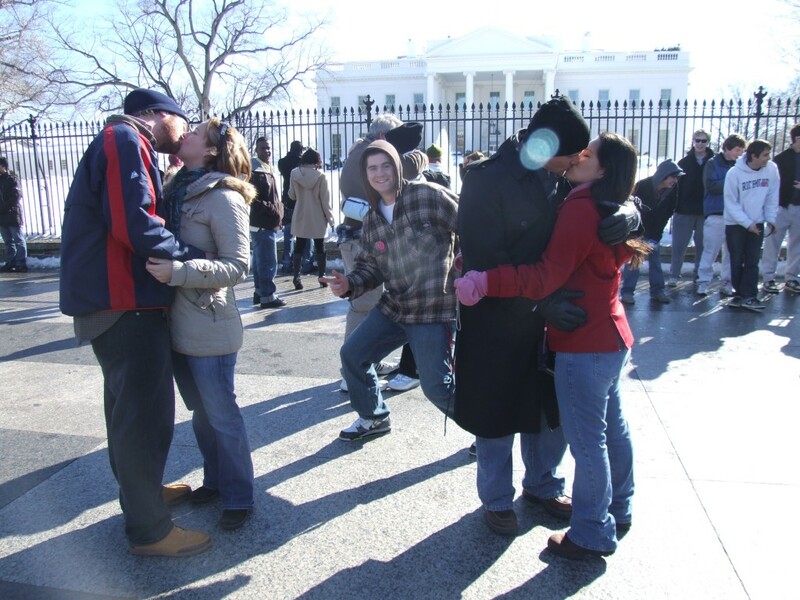 The under-cover performers of KISS USA took the hordes of tourists by surprise with their public display of affection outside President Obama’s Pennsylvania Avenue residence on a sunny and snowy Valentine’s afternoon. After a suitably romantic period (and enough time to bring the Capitol Police on the scene! 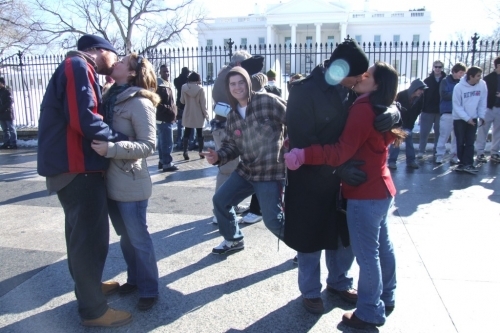 ), our kissers then melted back into the crowd, leaving the US capital with a suitably romantic glow.